We here use pneumatic power in order to develop a smart wall climbing robot. 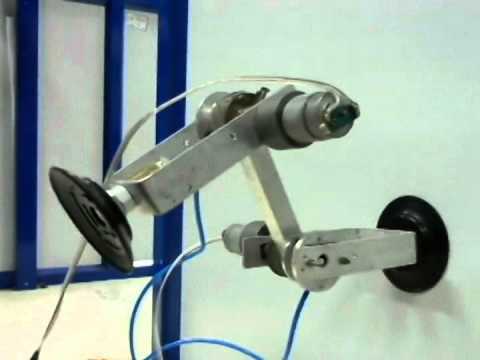 The robot makes use of pneumatic power for movement as well as suction in order to cling to the wall. The system is a smart mixture of pneumatic, mechanical and electronic circuitry that allows to achieve this task. The robotic system consists of 2 pneumatic pistons in order to achieve the movement. We make use of valves and drive them electronically in order to achieve the desired movement. Also we make use of suction cups at the end rods in order to achieve vaccum based suction. We use vaccum ejector pistons and drive them through valves to operate the vaccum based system parallel to the pneumatic systems in coordination in order to achieve the desired mechanism. 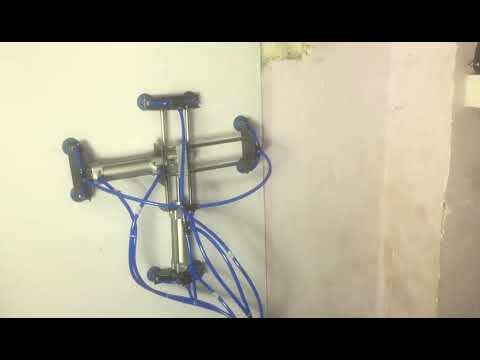 As a result of the coordinated movements of these systems we get a fully function pneumatic based wall climbing robot.